As I’m writing this post, it is New Year’s Eve and the end of 2017. This year has been quite possibly the biggest year of my life so far. 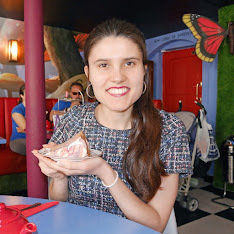 I graduated University, got a flat with my boyfriend and got my first post-graduate job. 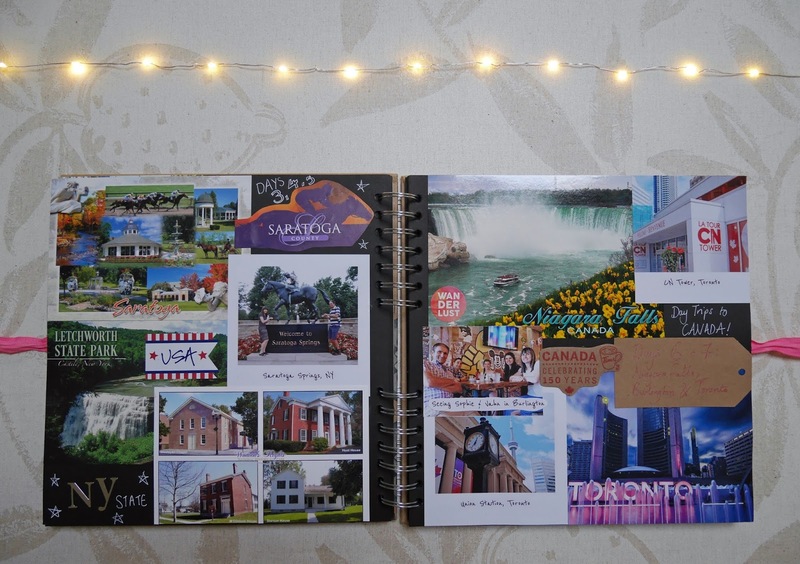 From a travel perspective, I visited 7 countries and also started scrapbooking my adventures properly, filling an entire book with tickets, photos and memories that we’d picked up along the way. 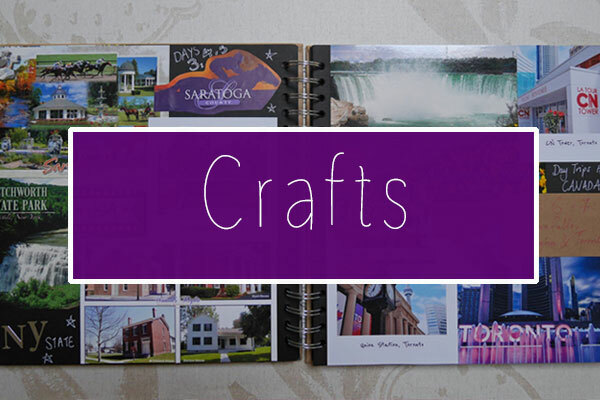 I enjoyed putting the book together so much that I’m going to make annual travel scrapbooks from now on, which feature all of our adventures. 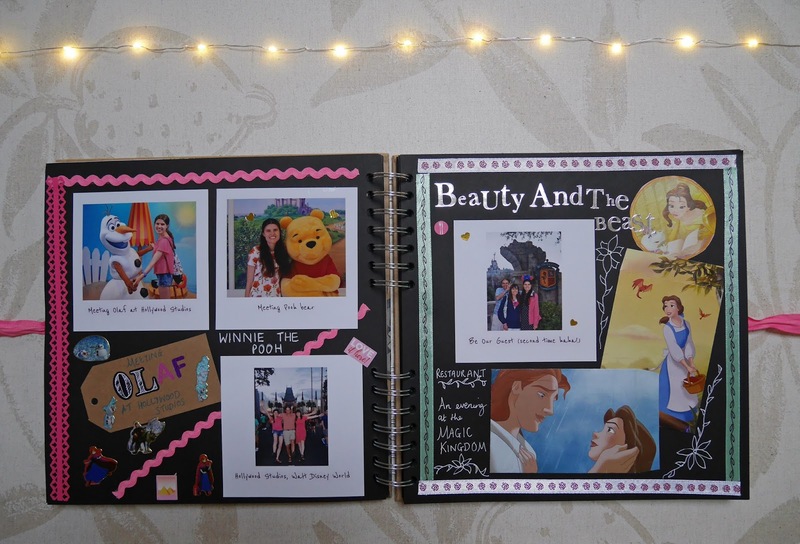 For today’s post, I’m going to show you my favourite pages of my 2017 scrapbook, which has taken a long time to complete. I just keep thinking of how grateful I’ll be of these books in the future, when I want to reflect on what we got up to when we were younger. The first photo is from our January Rome trip, which was the first trip of the year and a chance for us to visit one of Europe’s busiest cities out of season. The second photo features my favourite double page from our April visit to Dublin. It includes a photo and a business card from Sophie’s: a rooftop restaurant with views over the city. This was one of my birthday presents from Stuart and it was a very special evening. 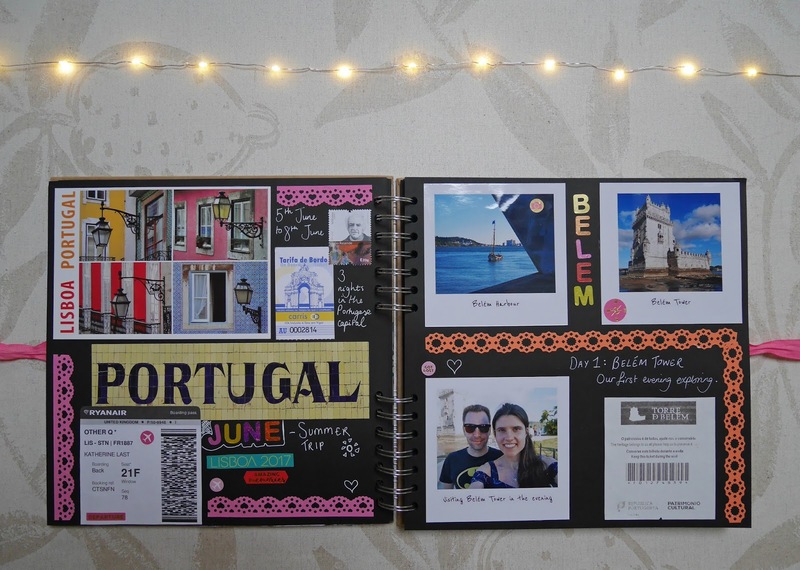 Next up is some of the pages from our Lisbon trip. Lisbon was such a beautifully painted city and I tried to create a scrapbook layout with bright colours to reflect this. In the Summer I went to Boston, upstate NY, Toronto, Niagara Falls and Orlando, Florida with my family. 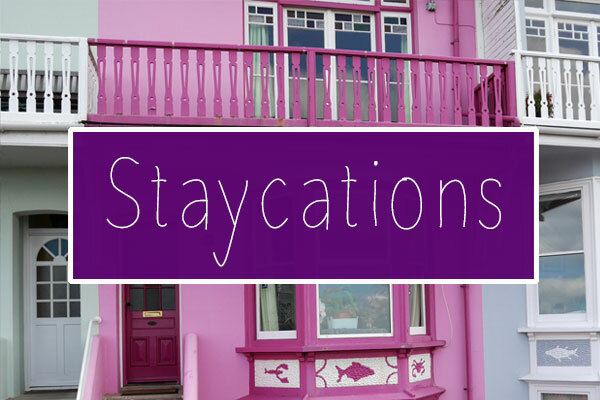 It was a trip of a lifetime, which involved so much sightseeing! The photos show some of the postcards I collected along the way, as we road tripped across the States. 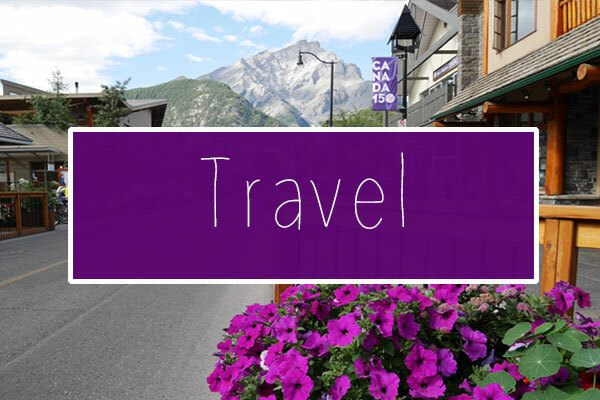 In August, Stuart and I went to Calgary, Canada for 10 days, so that we could visit Banff, Jasper and some of the Alberta national parks. 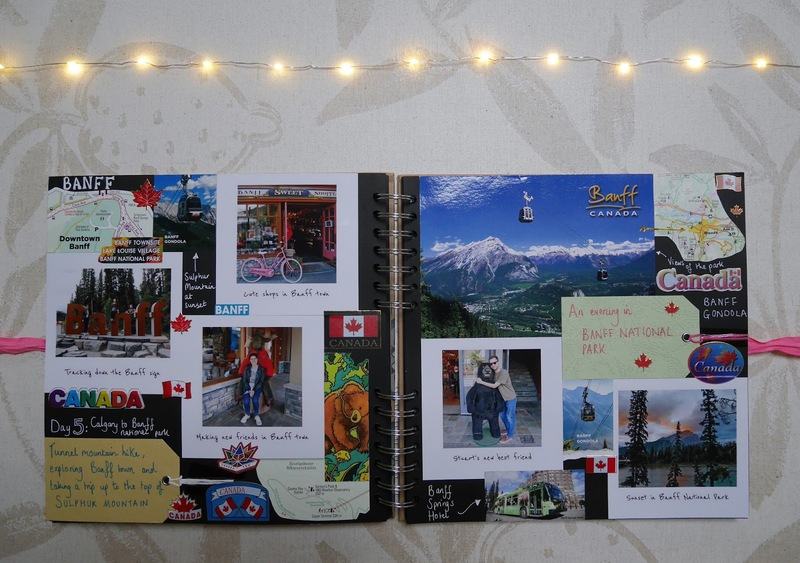 This photo features the Banff part of our trip, which was a collaboration with Printiki, and it’s one of my favourite spreads in the entire book. 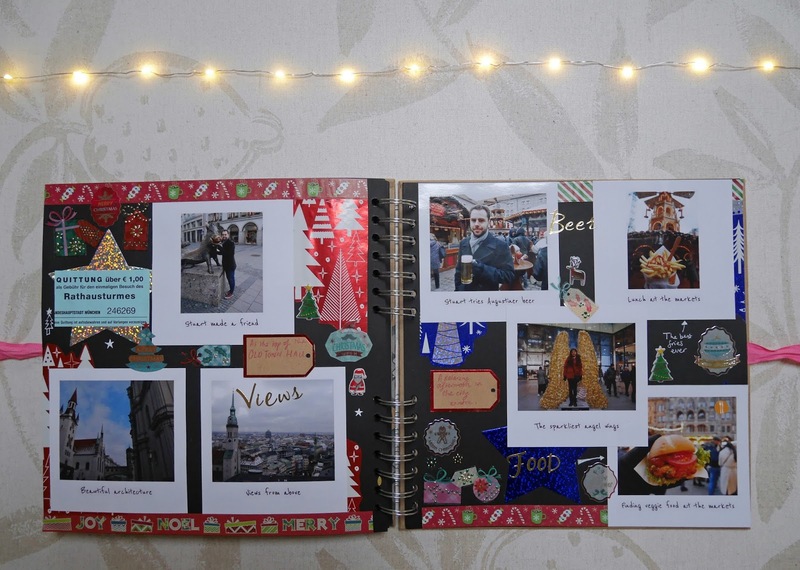 Last up is some pages from our Munich Christmas Markets trip. 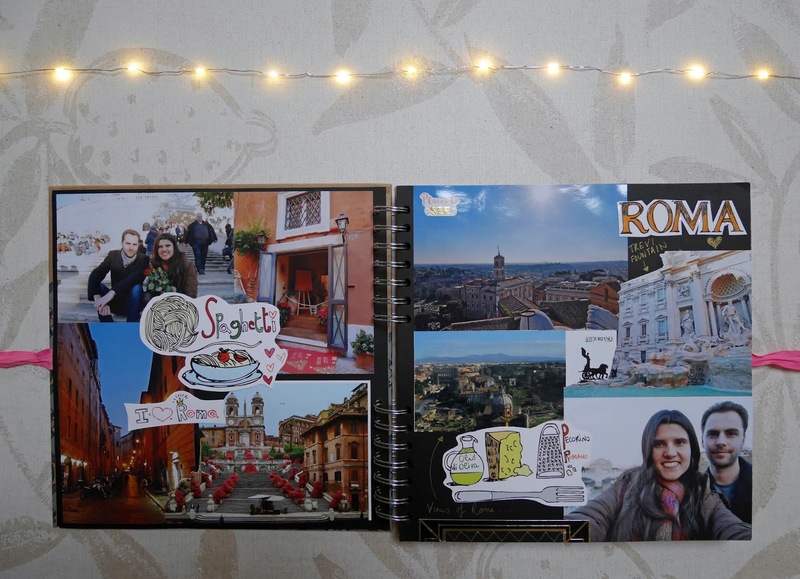 I bought some special Christmas tapes and stickers for these pages, which were so fun to display among the photos from our trip. I bought these festive scrapbooking materials from The Range and they were such good value at £1 a pack of stickers or tapes. What an amazing year of travel it’s been! I love looking back on all of our adventures. Have you been on any adventures in 2017? 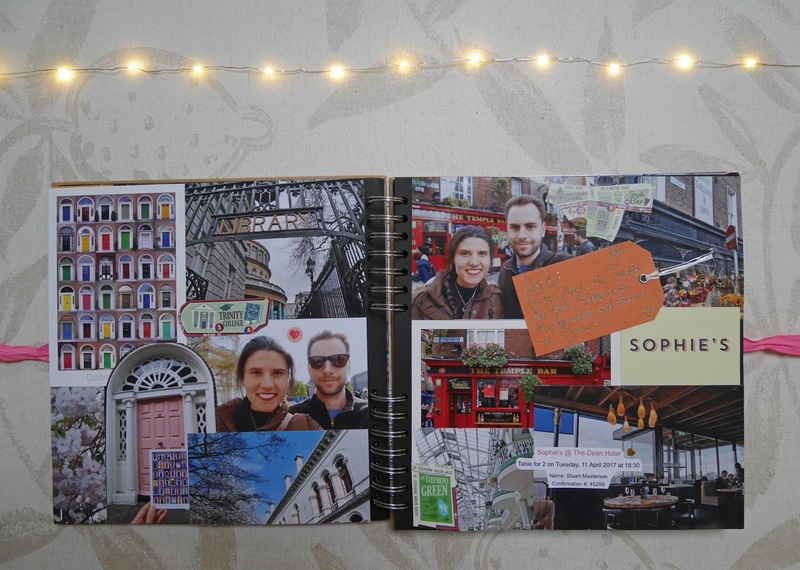 This is such a gorgeous memento of your travels - I might try to do my own this year!